It was my third Doctor’s appointment yesterday. I was excited to get the ultra-sound as we have not seen our Baby since week 12. Unfortunately, Hubs couldn’t join me so my sister kindly took a video and picture for him. 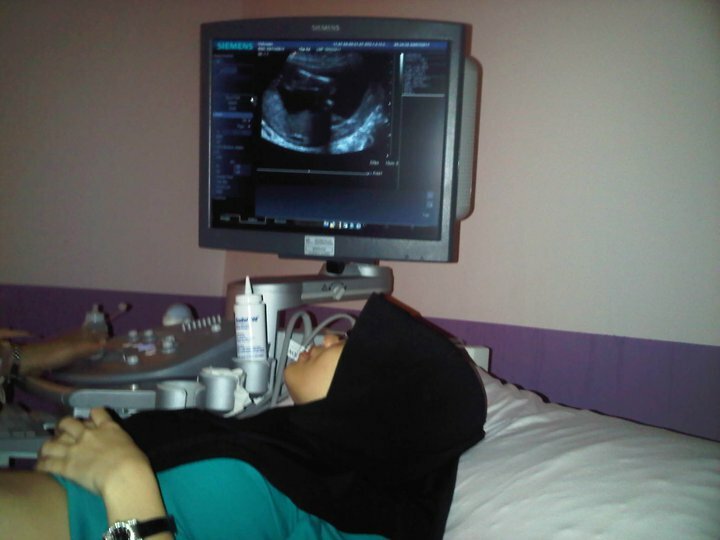 Alhamdulillah.. We received good news regarding our Baby. At week 20, Baby’s weight (318g) is right according to the standard measurement (300g). The fact that I did not gain much from last month, just an increase of 1.7kgs to 41.3kgs was worrying. I do hope in this coming months, I’m able to gain more weight and so is our Baby. I know that I have not been blogging that often anymore. I sincerely apologise. Truth to be told, I don’t even do blog-hopping these days. I’d be a couch potato and sleep during the day, and more eating meals from morning until night. Hehehe I’d still love to record every little journey during this pregnancy. p/s: I love to feel our Baby’s movement. It gives me tingle all the time when the Baby kicks.